Looks like there will be a special christmas episode of Chilling Adventures of Sabrina titled Chilling Adventures of Sabrina: A Midwinter’s Tale airing on December 14th on Netflix. Opening of I Heart Kiernan! Hello! 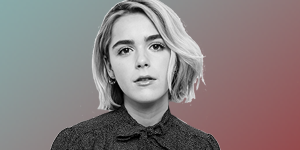 Welcome to the opening of I Heart Kiernan, your newest fansite dedicated to the beautiful and talented, Kiernan Shipka! 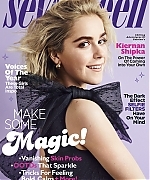 Kiernan is best known for her role as Sally Draper in Mad Men. 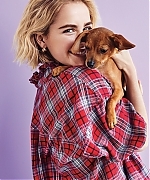 She currently stars in Netflix’s series Chilling Adventures of Sabrina as Sabrina Spellman. 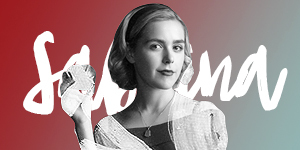 I have become such a huge fan of Kiernan recently and wanted to show my appreciation for her with this fansite. The site is still under construction, but I will be working on getting it complete within the next months! Be sure to follow the site on twitter: @iheartkiernan for all the latest news and real-time updates for the site. I want to thank my friends: Nicole, Neide, Ashley, Bubbles, Luciana, Aurélie, and Jay for all their help with photos, captures, and their support with making this site!